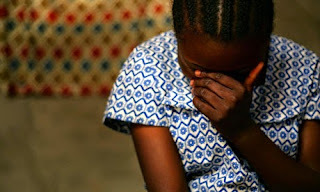 Kakamega police are looking for a father who is accused of defiling her daughter a couple of days ago when her wife was attending a 'kesha' at a local church. Isaac Shivachi who resides in Mukumu village asked his daughter to join him in bed while the rest of the kids were a sleep and forced himself into her. The following day, her mother noticed she had trouble walking and questioned her and that is when she broke the news to her mum. The mother together with some other villagers went and reported the matter to the police stations but the father had already vanished. A manhunt has been started byt the police.